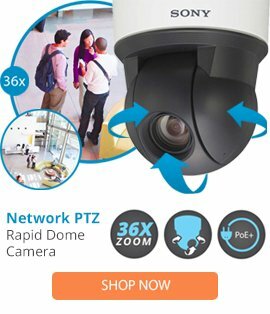 The MOBOTIX Pole / Corner & Wall Mount Set for D10, D12, & D14 Dual Cameras includes the MX-MH-Dome-ESWS pole/corner mount and MX-WH-Dome wall mount. The mounts included in the package are IP65-rated, waterproof, and weather-resistant, making them ideal for demanding weather conditions. When installed on to a wall, the mount covers RJ45 wall outlets (without a frame). Ideally, the outdoor wall mount is placed over a tested wall outlet, which provides connections (network, ISDN, Power over Ethernet) to the camera. Also included in the package are stainless steel straps and screws that help in securely mounting the camera on to the pole.